In November, in the book world we celebrate wonderful books for Non-Fiction November. A month of reading and enjoying books that are full of wondrous facts. 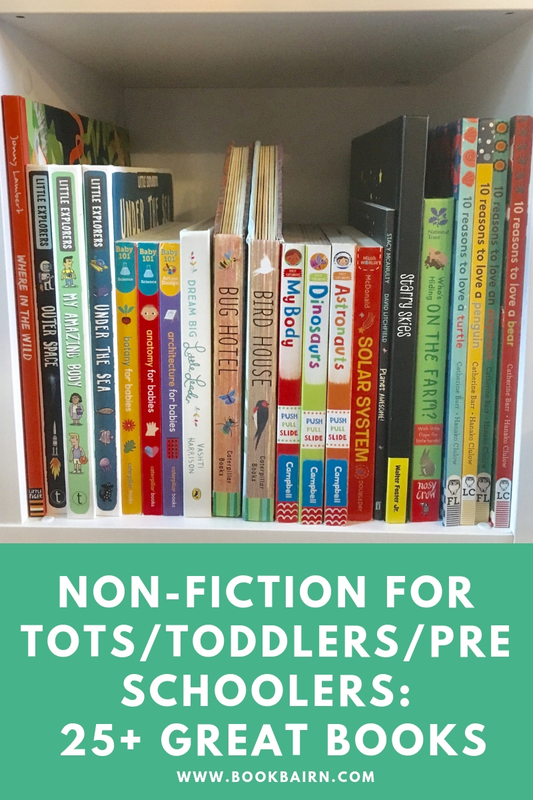 And for children there are so many great non-fiction titles. 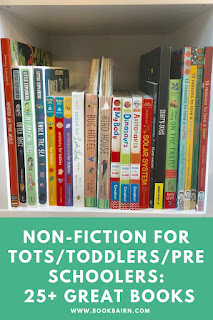 But if you are a toddler, who can't grasp some of the trickier concepts, or who are not ready to make all the connections that reading non-fiction requires, then some of these non -fiction texts can be a bit wordy or complicated. We really enjoy learning about world landmarks, and BookBairn is quite good at spotting them and recognising them. Wonders of the World by Isabel Otter & Margaux Carpentier is a great book for little explorers and landmark enthusiasts as well as history fans! The facts in this book are aimed at slightly older readers and the passages of text can be quite lengthy but younger readers will enjoy lifting the flaps, turning the wheels and playing with the pop-up elements as you read a little of the information. This is a beautiful interactive tour of the wonders of the world, both ancient and modern through it's vibrant illustrations. The colour palette is striking and alongside illustrations and facts about the most amazing sights on Earth, you will love exploring this one together. I love non-fiction that brings to life the wonders of planet Earth around us! To truly appreciate nature and bring it to life for children in the pages of a picture book is incredible! And Where in the Wild by Poppy Bishop & Jonny Lambert is stunning. It explores animals' habitats from around the world and shows the importance of saving them from destruction. The lyrical text and facts about the habitats make it a brilliant first introduction to environmental conservation. And the illustrations are a beautiful depiction of the wonderful world around us. We don't really need ten reasons to love a penguin, or any of the other animals in this series. But if you do need 10 reasons then the 10 Reasons to Love a... series by Catherine Barr & Hanko Clulow is perfect for you and your little one! There are half a dozen animals in the series (the lion book isn't pictured) so there is a book for everyone. Packed full of facts that are easily digestible for the littlest readers, written in toddler-friendly language (without being patronising, and including some words that will extend their vocabulary), you will enjoy learning a thing or two about animals as you read with your little one. Each page features beautiful illustrations and the animals are utterly charming. They are perfect for any little animal enthusiast. Beautiful and informative illustrations, small bursts of facts with lift the flaps to keep little hands busy, Bug Hotel and Bird House by Libby Walden & Clover Robin are wonderful books for little readers! And of course they are about two very popular subjects amongst little garden explorers. Each page focuses on a new bug or bird so lots of learning through the fun. I also love that they are shaped like a bird house and big hotel because it just makes them even more appealing to play with and the illustrations created through beautiful hand-crafted collage are truly inspirational. These are perfect for when Spring returns and gardens become a-buzz with bees and beasties and trees a-flutter with feathered friends, but my bairns love reading them all year round. There are lots of great books in this series and we've had a few for a while but I think BookBairn has finally grown into them! Like most children, BookBairn is fascinated by the world around her but she also has a keen interest in what happens under the sea so it's no wonder that Under the Sea is her favourite of the books we have in the series. 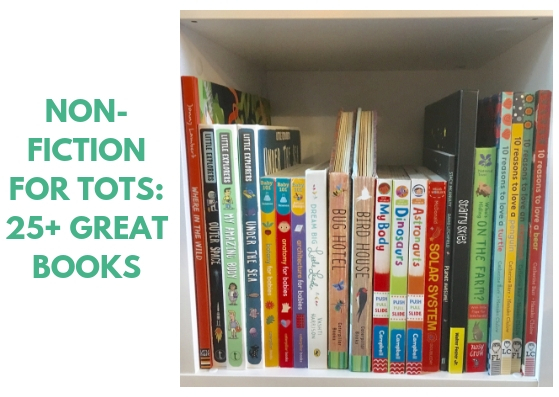 These books are probably the most wordy on this list but the reason they appeal to BookBairn are the cool illustrations and the lift-the-flaps so she can explore the facts as she reads. I also picked up Outer Space and My Amazing Body but there are lots more in the series and they often appear in the 3 for £10 on amazon. These really are great 'little explorer' books with lots of facts, life-the-flaps and fun illustrations and with so many titles there's a perfect book for everyone. This is a brilliant mostly black and white book that will encourage your little ones to gaze with wonder at the night sky. In Starry Skies by Samantha Chagollan & Nila Aye, each page stars one of fourteen constellations accompanied by a short, one sentence, story about each one. The illustrations are simple and elegant and the shiny surface of the pages encourages hands-on learning. Love the bold illustrations and strong colour choice too as well as the fact it was a little story about a child looking up at the sky on each page making it a more appealing read for very little ones. Perfect for the youngest star gazer in your house. This new series of board books are perfect if you want to introduce your baby (or toddler - they are still very toddler friendly) to their first STEM facts! Brainy babies will love learning all about the world around them (and their bodies!) in an engaging and colourful way! With very basic facts and simple explanations, there's no reason that you can't start your little one off in their science-learning journey. Every book in the Baby 101 series by Jonathan Litton & Thomas Elliott is bright and colourful and just so engaging! And there's a lift-the-flap surprise on the final page of each book. Perfect for the littlest tots! This First Explorers series (from a variety of authors and illustrators) are truly fascinating first information books. The illustrations in this series are absolutely brilliant! So colourful! But the part that really gets little ones engaged is the interactive paper mechanisms that they have to push, pull, slide and turn to reveal more facts or make, for example, the dinosaurs move. BookBairn can't get enough of these mechanisms! She loved them in the First Stories books too. And similarly they are super sturdy and pretty indestructible (depending on how rough your children are but these are pretty strong in comparison to other books of a similar style). My only criticism of these books is that they are only four pages long and I'd love more! So Many Feet by Nichole Mara & Alexander Vidal is a great non-fiction book about all sorts of animals and their different feet. From the slow feet of the giant tortoise to the fast feet of the ostrich, from the dancing feet of the shovel-shouted lizard to the hanging feet of the sloth, from the thumping feet of the elephants to the soft feet of the tigers: who knew there were so many variations of feet in the animal kingdom? Starring sixteen animal species, each page introduces you to an new adjective to describe their feet followed by a sentence explaining the special properties of them. And the final page asks the question: "what can your feet do?" and BookBairn just loves this part! She tells me her feet can dance and then shows off her signature dance moves. If you want to inspire your little reader then it might be worth looking at some of the wonderful biographies that have been released in recent years, but many of them are aimed at older readers including Little Leaders: Bold Women in Black History by Vashti Harrison. But to go alongside this book aimed at slightly older children (aged 7+), the same author/illustrator has released a board book featuring a handful of the inspiring women from her previous book. Dream Big Little Leader shares the stories of some extraordinary women and accompanied by beautiful portraits, it makes a brilliant story to leave your little ones to fall asleep inspired after their bedtime reading. Babies and toddlers will love this bright and vibrant book all about the wonders of the world around them and this one from the Hello World series will have them gazing upon the sky with wonder. It shares the very basic concepts of our solar system: the moon, the planets, the sun and the stars in a simple way that very young readers can enjoy, understand and learn from. And Solar System by Jill McDonald is such a colourful and joyful book your little readers will be so mesmerized they probably won't even notice that they are learning as you read! I am surprised that I haven't shared this book before because it is, quite appropriately, awesome! Planet Awesome! by Stacy McAnulty & David Litchfield is a humour-filled biography of the first 4.54 billion years of planet Earth. Earth is the narrator and explains all about how he/she/it was born, it's early life and how humans and animals came to live on it. And accompanied by David Litchfield's wonderful illustrations this is such a lovely book for young readers. BookBairn asks for it again and again at bedtime and I hope she is absorbing all the fascinating facts that are hidden in this biographic story. But mostly we read it because it's so much fun! I did a blog post similar to this last year so if there isn't enough here, or if you don't see something that will appeal to your little one then you can check that out here. I've also created a 'shop' on amazon where you can easily find all our favourites, including a specific list for non-fiction favourites! I'll keep adding to it as we go so it's just small at the moment but if you check back it should have more as I build it! Disclaimer: these are all my choices. Some were sent from publishers (others are books that I have bought myself) but they were not sent in connection with this post. Their inclusion here is my choice. Because I really do think they are great. Please read our review policy if you want to know more. If you click on the title or image of the book you will be sent to Amazon.co.uk using an affiliate link. This means that if you choose to purchase on Amazon.co.uk, I will receive a small sum (around 20-90p per book) from amazon at no extra cost to you. 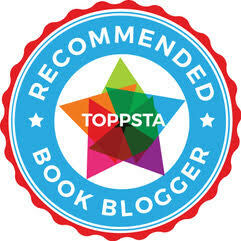 I understand that you may not want to use an affiliate link, but if you like reading our blog please just think of it as a small tip for a tip-off to an awesome book. And know that your support means I can buy more books! For more information check out our 'For Our Readers' section. These books look great and are “right up my street”. I’m sure BookBairn and the Wee Page Turner will love them too. I knew you would like this one - enough science lessons to keep you quiet for a while!